Why take a MayTerm or JanTerm Course? MayTerm or JanTerm courses are not just if you need an extra class or are trying to make up for a failed course. These short courses, 11 class days and eight class days respectively, can be super beneficial and enjoyable. In both situations there are no other courses being taken at the same time so a student’s focus is only on the readings, lecture notes, and assignments of that one specific class. Mayterm courses are about four class hours a day and JanTerm classes are about eight hours a day, so usually there is no time for extracurricular activities or part-time jobs. At first, this might scare off students, but it is only for 11 or eight class days and you are done with a three credit course for your major or minor as well as potentially a UC requirement. Also, during these two weeks, one’s focus only being on the course material helps learn the concepts well. Students can review material and continually be using and building on material from the day before and the day before that, while the professor can take additional time to review difficult concepts not always possible in class during a regular semester. I have taught 17 week courses, JanTerm and MayTerm classes as well as 5 week summer sessions. I really think many students do better and enjoy learning the material in a shorter term course when they have only the course material to focus on. The other element is the bonding that happens between students and also with the faculty member and students. Since people are together every day and for long periods of time, you really become a team in learning the material and working together while almost having a family like feeling. The latter point is further conducive to learning the material while enjoying the time spent learning. For students unsure about how they would do in a course or nervous about the content, a short semester course is a great option. The average grade when I teach has typically been a little higher than the class average in a regular 17 week long semester because students learn the material better with few outside distractions. Students who sometimes struggle in a bigger class or during a 17 week semester, often find more opportunities within the class to clarify concepts and certainly outside of class time with the opportunity of seeing the professor every day. In many cases, a MayTerm or JanTerm course is smaller during these off semester learning opportunities, which again allows for deeper learning and richer dialogue in the classroom. On this last point, the smaller and more intensive structure allows for interesting projects to arise that may not always be possible during a longer session or with a larger class size. One year, my MayTerm ethics in advertising course undertook a volunteer opportunity to help clean up a nearby park. In the process, they learned about the park and the neighborhood in order to create a marketing plan for how to engage the community in using and taking care of the park. This past MayTerm (2018) we tackled the issue of Mental Health and students developed proposals for matching brands with different facets of Mental Health with the goal of bringing awareness to the issues and to help normalize the conversation. Please consider a short-semester course in your future. 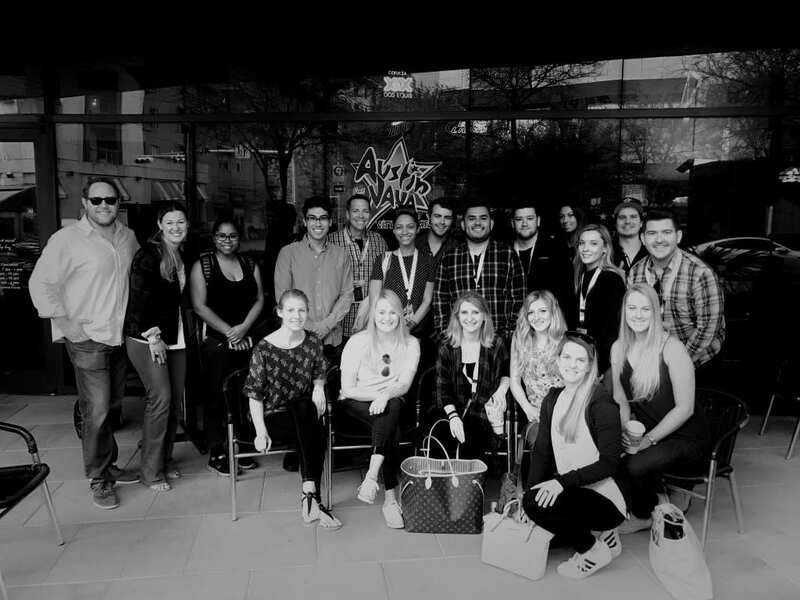 The Temerlin Advertising Institute often offers courses in Ethics, Production, Advertising in Dallas or Advertising in NYC as well as Campaigns. Check out your course catalogue online to see what might be available for you. By Carrie La Ferle, Ph.D.